Hello, blog world. 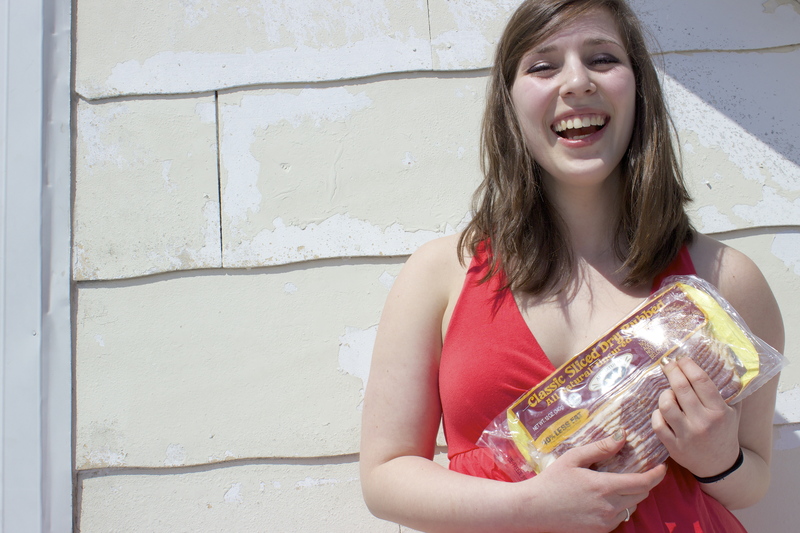 Today I decided to have a little fun and take some headshots…with bacon. After all, my success on this thing is partly due to this candy of meat, so why not give it a little love? Thanks to my roommate Sarah Helt for taking photos! She is pretty awesome and debatably the best yoga teacher in Chicago. Went to one of her classes and sweat all the bacon right out. Check out her blog here! It looks like a fun thing to have done. I’ve seen some weird stuff in Chicago, did anyone look at you funny? Haha they were taken on the street in front of my apartment, so I’m sure the people driving by were confused.